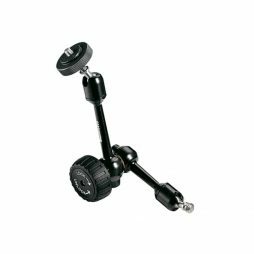 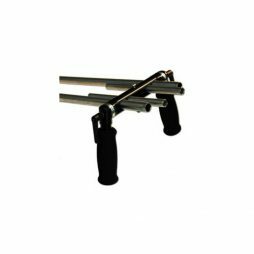 Dual-stage handheld bars with push button quick release for rapid and precise adjustment. 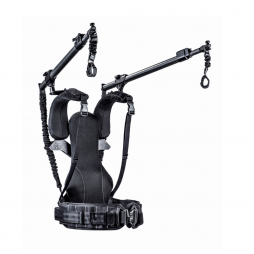 Design features titanium components for reduced weight. 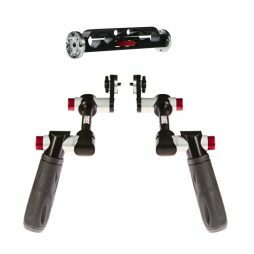 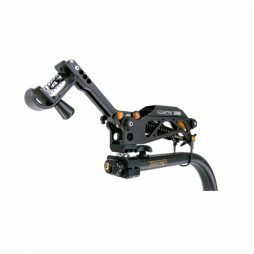 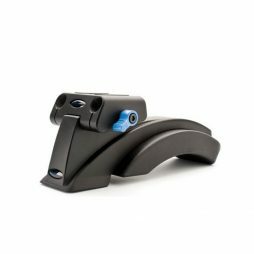 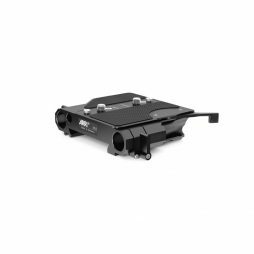 Modular support system compatible with most EVF viewfinders and cameras, securely holding the viewfinder with variable friction control. 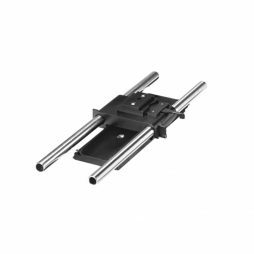 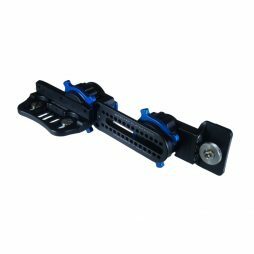 Arri 19mm bridge plate, compatible with Arri Alexa and Amira cameras. 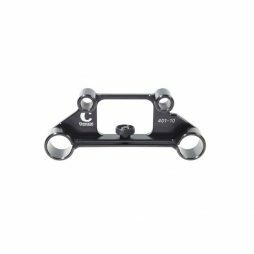 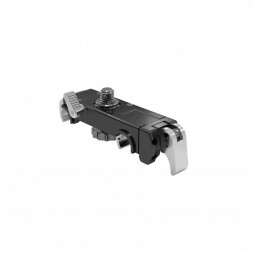 Arri 19mm bridge plate, compatible with Arri Alexa and Canon C300 cameras. 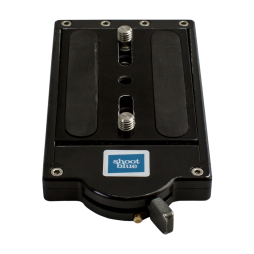 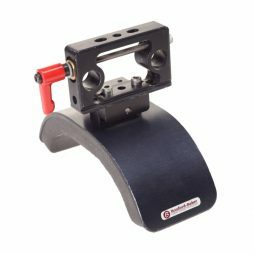 Ronford-Baker's universal snap plate attaches to any camera with a threaded baseplate, allowing quick release between rigs and handheld options. 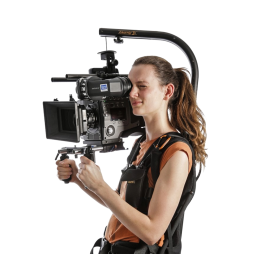 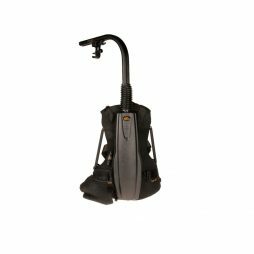 When multiple units are hired, you can quickly switch between several setups, such as Steadicam, Skater Dolly and handheld without time-consuming remounting. 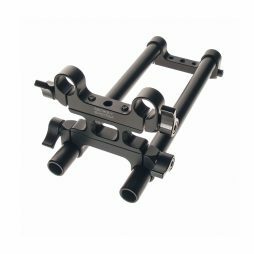 Used to allow 15mm-only accessories, such as lightweight matte boxes or wireless systems, on cameras with a 19mm bar support system. 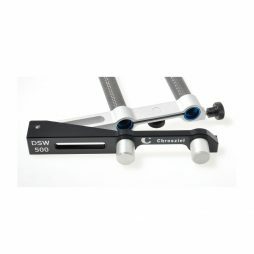 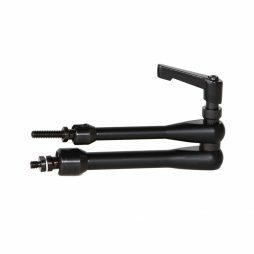 Useful for achieving a 90° camera position without straining a fluid-head tripod. 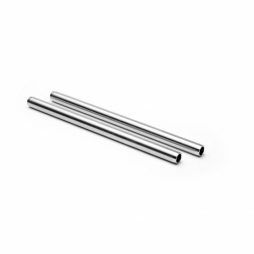 Industry standard 19mm steel bars used for mounting heavy-duty accessories on to digital cinema cameras such as the Arri Alexa or RED Dragon. 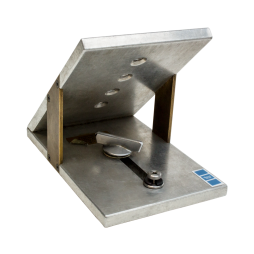 Available in various sizes to accommodate the accessories specific to your production.